New in stores! Just picked up this recently launched foaming cleanser and immediately tested it out. Pretty roses when doing something as mundane as washing my face? Yes, please! 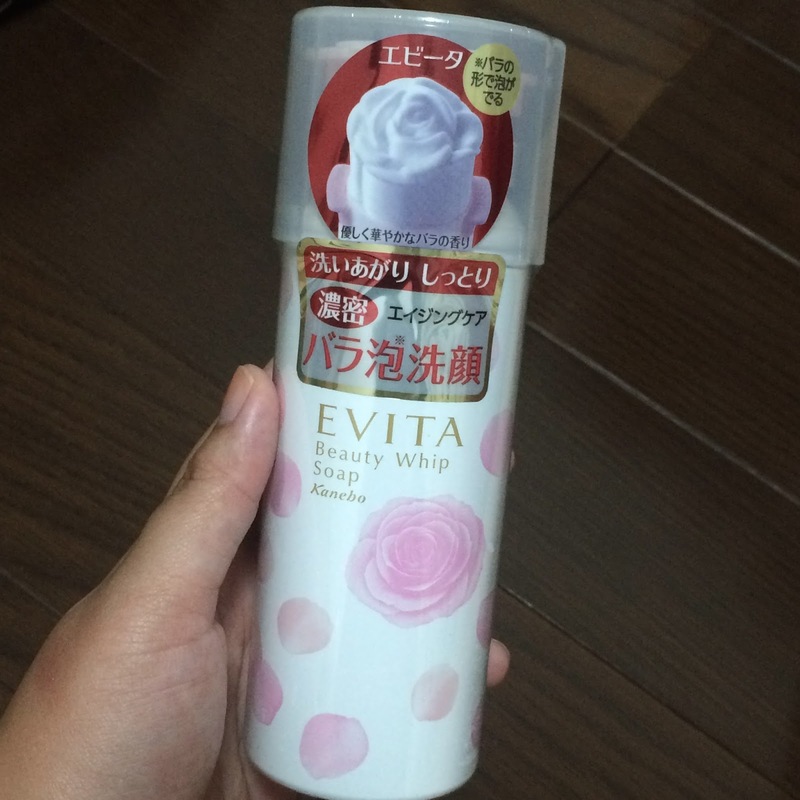 The Kanebo Evita Rose Beauty Whip Soap is targeted at more mature skin types but I prefer more moisturizing cleansers anyway so I didn't hesitate to pick one up. Plus I found the novelty of creating roses each time I washed my face quite appealing. Ingredients include Royal Jelly Extract, Collagen, Rice Extract, Hyaluronic Acid and Damask Rose Water. 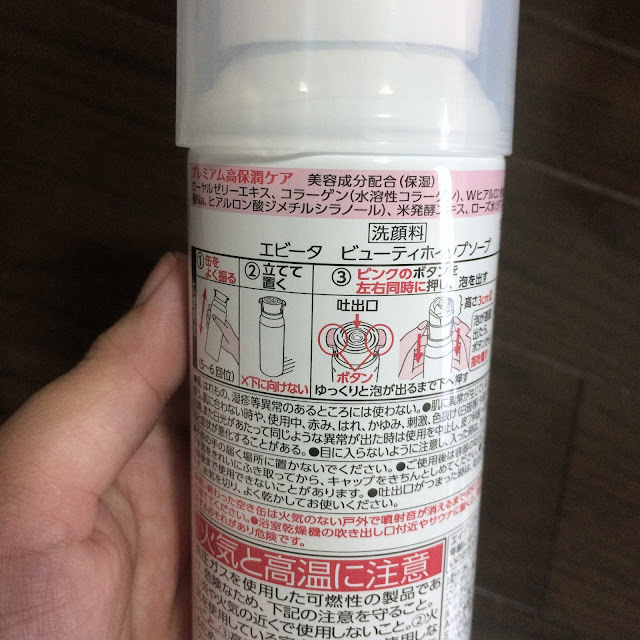 Simple instructions to dispensing the foam are illustrated on the back of the can. 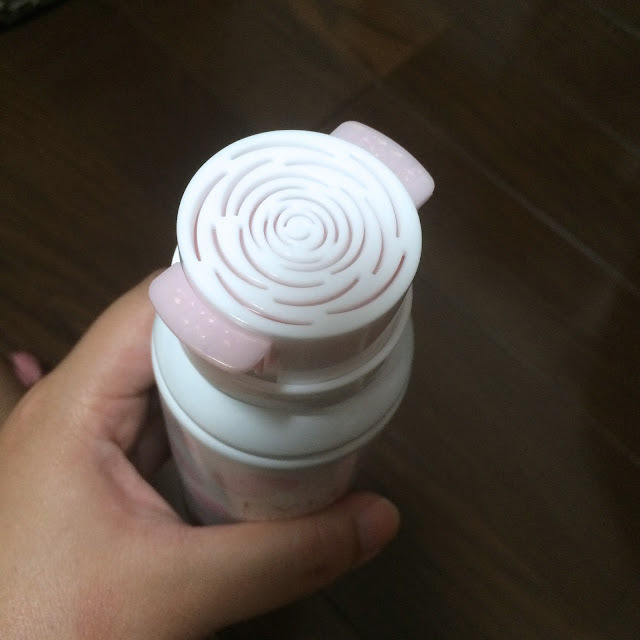 It took me a few tries to create the rose shape, the key is to pushing it slow and steady- the first few times I pressed down too hard resulting in oddly shaped "roses". The foam was really thick and dense, the most dense I have ever come across. It's like a thick melted marshmallow and the scent is so lovely- not an old rose but a more fresh and light version of the flower. First impressions, I like the texture and scent and after washing it off, my face felt a teeny bit taut but so soft! I also got Y* to use the foam (I made one too many roses) and I could definitely feel softness after he dried off his face. I used it as a second cleanser, after removing my makeup so I can't say if you're able to use it solely to remove makeup. Will update once I have used it longer. Overall, not bad for a "gimmicky" product! 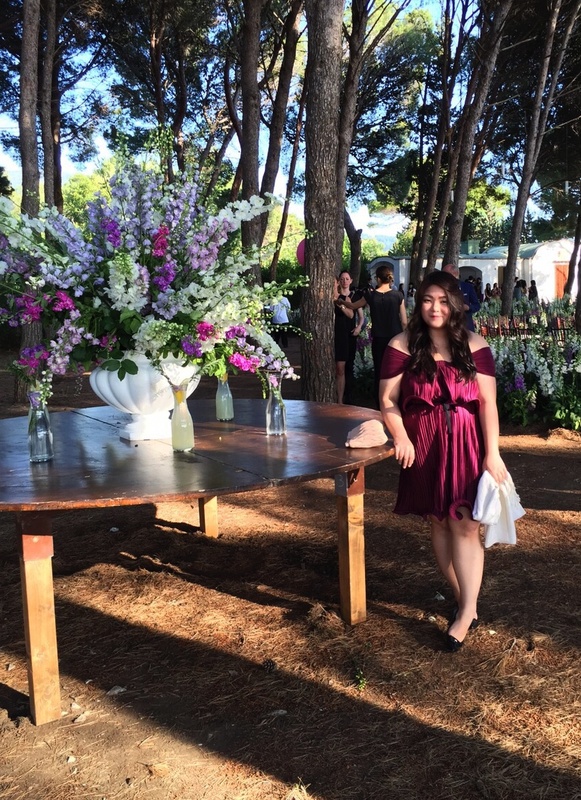 Hi Xen, thank you for your review. Do you know any ways to purchase these in bulk from Japan? Hi William, thank you for reading! Unfortunately I don't know where to purchase these in bulk. Hi there! This seems very interesting. Do u have any idea what the ph level of this soap is? Thanks! Hello! I didn't personally test it but I remember someone on reddit did and it came up to a 7.